Common mouldings fastened where walls meet floors. Protects the wall from furniture, kicks. Alexandria Moulding Painted Fibreboard Decosmart Colonial Base 3/8 In. x 3-7/8 In. x 8 Ft.
Transform your rooms without having to paint. DecoSmart makes it possible with a collection of high quality mouldings to create inspiring dicor straight out of the pages of a magazine. Time-saving DecoSmart mouldings are already painted for you with a baked-on coating, which means they are ready to install and be instantly enjoyed. This coating allows for repainting whenever the mood strikes. With DecoSmart you get more out of your mouldings with less time and less money spent. DecoSmart is the smart choice for busy people. Apply this baseboard where the floor and wall meet to hide imperfections, to protect the walls from kicks, bumps and cleaning machinery, and to show your inner style. Add warmth and character to any room by applying an elegant seamless feature where the awkward lines of a floor and wall meet. Design an extra dimension of style and grace which is stunning to the eye. Applied where the floor and wall meet to hide any imperfections and to protect the walls from kicks, bumps, and cleaning machinery. 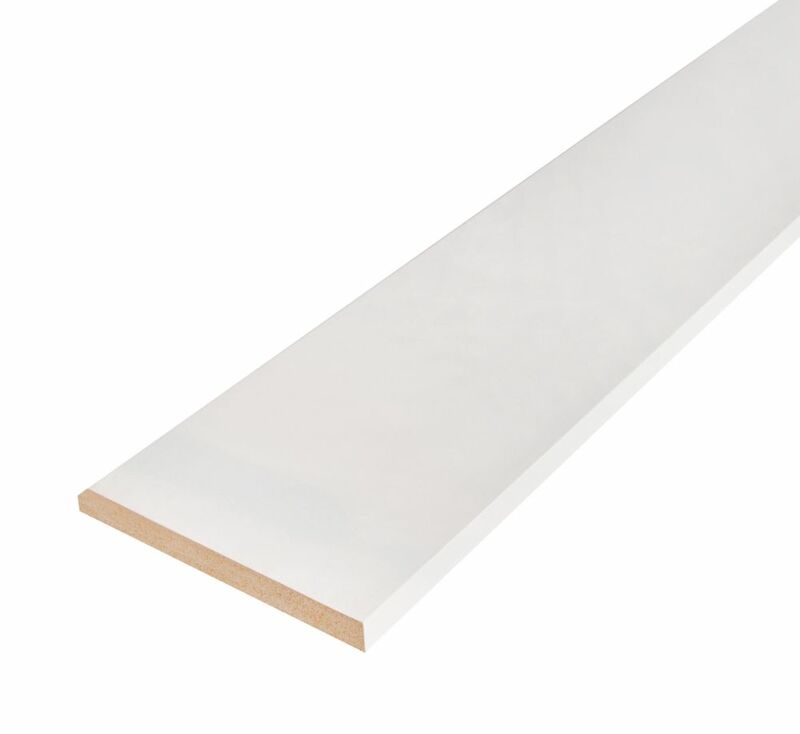 Baseboard augment the ornate character of your rooms style. Its styling and proportion is created to work in harmony with other decorative mouldings and details.